Compli-Mates Sprague Rappaport Combination Kit Is A Favorite With Nurses And Emt’S. 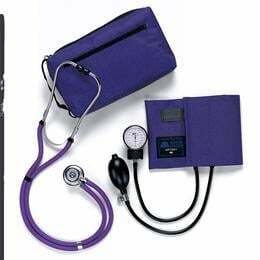 This Versatile And Stylish Kit Comes With An Aneroid Sphygmomanometer And A Color-Coordinated 22" (56Cm) Sprague Rappaport Stethoscope. Packed In A Matching Case. Purple.